During the five previous seasons spent in the East of Scotland First Division, Vale had become used to looking back at the end of a campaign considering near misses and dropped points and wondering what might have been. But in 2009-10 happily it was a case of what was, as the team finally managed to gain a place back in the Premier Division. Success on the field of play for Vale – and for Leithen Rovers, who ended the season as Border Amateur League Champions – was especially welcome, as Innerleithen itself had endured a miserable time of it, with the closing down of one of the last remaining cashmere mills in the town having a devastating effect on local employment. As manager Rab Paget (left), coaches Stewart Churchill, Stuart Gray and goalkeeping coach David McGinley gathered the squad together for their first full season in charge, missing from the squad for the first time in a decade was Robbie Clark, who had decided to join Leithen Rovers. Also departed were Steven Notman who returned to the SFL with Berwick Rangers, Raymond Fleming and Mike Osborne to Spartans Juniors, captain Campbell Forsyth to the newly formed Border Amateur League club Linton Hotspur, Neil Nisbet to Leith Athletic Under-21s, while Chris Graham made the decision to give up football as it was proving increasingly incompatible with his commitments as a DJ in clubs in Edinburgh. Coming in were a clutch of strong signings; striker Steven Dongo from Lothian Thistle, midfielders Darren Gillon from Eyemouth United, Paul Greenhill from Civil Service Strollers, John Hall from Edinburgh City and Alex Munro from Oklahoma University. Defender and former Leith Athletic captain Michael Stewart arrived at Victoria Park, as well as experienced goalkeeper Darren Walker, previously on the books of Whitehill Welfare, Edinburgh Athletic and Peebles, from Civil Service Strollers. Bringing an exotic touch to the squad was left-sided midfielder Ousman Sonko, a Gambian who had been capped at youth level for his country. Paget had gathered the players together early to work on core fitness, but a pre-season friendly against Annan Athletic was arranged for early July, in which goals from Stevie Dongo and Gavin Tainsh gave Vale a morale-boosting 2-1 victory over the SFL side. A win against Lothian & Edinburgh Amateur FA club Newcraighall Leith Vics followed two weeks later, but a game against Edinburgh University at Peffermill was abandoned in the 77th minute amid a torrential thunderstorm with the scoreline blank and Vale went down 2-0 to Scottish Junior FA team Edinburgh United at Victoria Park. The second pre-season visit to Innerleithen from English club Shields United of the Northern Alliance League proved a useful workout as well as strengthening the bond between the clubs. Holidays and working commitments saw only nine players available, but three players were borrowed from the visitors and the game went ahead, ending in a 1-1 draw. Pre-season was rounded off with another visit to Westfield Park to meet Kirriemuir Thistle, Vale going down 3-1 despite a good performance. Vale got their league campaign off to a flying start with comfortable victories over Peebles and Hawick Royal Albert, while Kelso United were overcome at Woodside Park. The next visitors to Innerleithen were fellow promotion hopefuls Gretna 2008, and a double from Aaron Somerville and a strike from Darren Gillon saw Vale 3-0 up. Shaun Milligan and Curtis Wood pulled back a couple of quick-fire goals in injury time to take the shine off the result, but it had been a significant three points for Vale. Another excellent result came when Stirling University came to Victoria Park in September for what would prove to be their only league defeat of the season. Vale went ahead in the 37th minute as Ger Rossi knocked home a Gavin Tainsh cross, but Stirling had a great chance to level when they were awarded a penalty in the 77th minute after Paul Lee was adjudged to have pushed Craig Mason in the area. Mason took the spot kick himself, but his low shot was blocked by Darren Walker and Riteesh Mishra put the rebound inches wide. Already a group of four teams – Vale, Stirling, Gretna and Craigroyston – was forming at the top of the table and Vale further enhanced their promotion prospects when a goal from Aaron Somerville gave them victory at home to Craigroyston, a game which had also seen an impressive debut from centre-half Paul Thomson, who had joined the club on loan from Spartans Juniors. The Active Nation Scottish Cup First Round draw paired Vale with East of Scotland Premier Division side Edinburgh University. Two goals from Aaron Somerville put Vale in the driving seat at Peffermill, with midfield players Paul Greenhill and Darren Gillon doing a great job nullifying the University threat before Stevie Dongo added a late goal. The Second Round saw Vale handed their first Scottish Cup home tie for over two years, with Highland League side Keith the visitors. Postponements in the East of Scotland League against Eyemouth United and in the South Region Cup against Lothian Thistle had seen Vale play only one competitive game since the previous round – a draw away to Leith Athletic, thus ending their 100% league record – and various attempts to arrange bounce games against Border Amateur sides had floundered for one reason or another. Vale faced an uphill struggle after falling behind just five minutes into the game to a Wayne Mackay goal, but Aaron Somerville continued his amazing Scottish Cup scoring record with an equaliser in the 26th minute. Despite giving a good account of themselves, Vale fell behind again just past the hour mark as Mackay curled a spectacular free kick into the top corner from 25 yards. Vale pushed forward in a bid to salvage the tie, but a quick break upfield saw Gary Harris slide home Keith’s third nine minutes from time to assure them of a place in the next round. Vale’s Image Printers East of Scotland Qualifying Cup run was another highlight of the season. After requiring extra time to defeat Ormiston at Recreation Park, the Second Round was an away tie at Coldstream, which went to a penalty shoot-out after it ended 2-2 after 120 minutes. Incredibly, seven of the ten penalties were missed, with Michael Stewart tucking away the winning kick. The next round saw Vale visit Whitehill Welfare with a squad decimated by injuries and suspensions, and question marks hanging over the fitness of several of those who did play. But against the odds, a fantastic individual goal by Aaron Somerville put Vale ahead halfway through the first half and despite losing Paul Thomson to injury and having Stevie Dongo sent off, Vale hung on to book a semi final spot against Spartans. With the agreed two year sponsorship of the South Region Challenge Cup by the SFA having run its course, the competition was played in an altered format to ease the financial burden of travel for clubs, with the early rounds played in East and South sections until the quarter final stage. 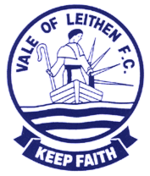 Vale received a bye before being paired with Lothian Thistle in the Second Round. The game went ahead at the third time of asking, with the original date in October being postponed because of a swine flu bug that swept through the Lothian Thistle squad. Then, the rearranged date was pushed back a week after Aaron Somerville, Andy Martin and Ousman Sonko were named in the East of Scotland U-23 select team to play Livingston at Almondvale, although this match was also postponed due to rain. Under the floodlights at Saughton Enclosure, Vale took an early lead through Somerville, who then had a penalty saved by Lothian keeper Mark Swain. The home side equalised on the hour mark through Gary Black and went ahead ten minutes later as Craig Hume nodded home. Vale were still very much in the game, but disaster struck as Vale keeper Darren Walker received an accidental kick on the head and the game was held up for around five minutes as he was removed from the pitch. With back-up keeper Mark Wilson injured and not on the bench, Ger Rossi took over the gloves, but his first touch was to fumble a high ball into the box and Black was conveniently placed to take advantage. Walker was sped in an ambulance to the ERI with a suspected skull fracture, but happily it turned out to be only concussion, although this still saw him out of action for three months. Back in the Image Printers Cup, the Semi Final game against Spartans saw Vale produce their best performance of the season on their first ever visit to the Edinburgh side’s smart new Ainslie Park ground. Vale took the lead in the 26th minute as Aaron Somerville superbly volleyed home an Ousman Sonko corner. It was a good goal, but Somerville’s second six minutes into the second half was even better. Running on to a long ball forward, Somerville checked back to lose his marker, before unleashing a stunning shot into the top corner of the net from 25 yards. Gavin Malin pulled a goal back for the home side, and it was backs to the wall time as Spartans laid siege to the Vale goal, with keeper Mark Wilson pulling off an astonishing save as he tipped away a Keith McLeod shot destined for the top corner. Donal Henretty hit the bar and an agonising moment in injury time saw a McLeod shot hit off the inside of the post and trickle along the line, but Vale held out for a memorable victory. While things could hardly have been going better for Vale, a black day for Innerleithen itself came in January with the news that the mill bordering Victoria Park, JJ & HB 1788 Ltd, formerly Ballantyne Cashmere, had entered administration with 132 people – almost three quarters of the workforce – laid off. Those losing their jobs included workers with over three decades of service to the company and the knock-on effect in the local community was obvious. In March the company went into voluntary liquidation, but by then a new company, Caerlee Mill Ltd, had been formed at the site which had created 37 new jobs, with the hope of more to follow. Elgin-based company Johnstons, with a large operation in Hawick, also set up a small unit employing 12 people in the town, which was further good news. A severe winter saw record levels of snow and temperatures as low as -17c. Many Borders towns and villages were cut off as public transport was suspended and roads closed due to dangerous conditions. Many homes found themselves without electricity, with service engineers unable to make it to substations for repair work. Not surprisingly the East of Scotland League suffered a slew of postponements that saw Vale manage only two matches during December and January and the team forced to hold training sessions on Portobello beach in Edinburgh. Vale were by no means the worst affected team in the league, with Gala Fairydean arriving at Victoria Park for a King Cup First Round tie which would be their first game for two and a half months. Not surprisingly, Vale were the sharper side, but the final score of 4-0 – courtesy of goals from Ger Rossi, Stevie Dongo and a double from Scott Moffat – certainly flattered Vale. The Second Round saw Vale’s second trip of the season to Newbattle Complex to play Easthouses Lily and the game was notable for a dramatic return to action for keeper Darren Walker after injury. Ryan Curran shot home from a acute angle to give Lily a first half lead against the run of play, but a Michael Stewart penalty awarded after Ousman Sonko was brought down in the box drew the score level. The home side faced extra time a man short after John Baigrie picked up his second yellow card, but the 30 minutes failed to yield a goal and the game went to a penalty shoot out. Easthouses scored their first three penalties with Aaron Somerville and Michael Stewart scoring either side of Paul Greenhill’s miss for Vale, but Walker, who had replaced Mark Wilson with 17 minutes of normal time remaining, saved Curran’s effort before turning penalty taker to take it into sudden death. A brilliant save from Walker to deny Euan Smith left Paul Thomson to tuck his spot kick away and take Vale through to a meeting with Preston Athletic. The Quarter Final took place at Victoria Park, with a disciplined performance from the East Lothian side seeing them soak up some early Vale pressure well, before Stuart Miller nodded home a Gary Wales cross to settle it in Preston’s favour. Back in the league, the period of forced inactivity, plus the cup games had seen Vale slip to fourth, but still unbeaten and with plenty games in hand over the sides above them. A well-won point in a tough away game against Stirling University thanks to a late Aaron Somerville goal was followed by a midweek trip to Gretna, but the game was abandoned in the 58th minute when the floodlights at Raydale Park short-circuited with the home side 2-0 up at the time. Vale fielded former Edinburgh University players Andrew Cook and Kerr Dodds in a game against Craigroyston and both were instrumental in a 2-0 win, with Cook grabbing the second goal after Scott Moffat had given Vale the lead. It was to be Cook’s one and only appearance as he joined SFL club East Fife, but Dodds signed on for the remainder of the season, turning in some exceptional displays in midfield. The harsh winter and the resulting backlog of league games for some clubs meant that the East of Scotland League took the unique step of allowing clubs to decline from participation in the League Cup if they so desired. Vale were one of five clubs who did so, but they still had one last cup game to play; the Image Printers Final against Gretna 2008. A postponement on the original date in February saw it rescheduled for a month later and Vale’s third cup final in as many seasons again ended in disappointment. A poor first half display saw Gretna take the initiative and although Vale came more into the game in the second half, an unfortunate five minute hold up when trouble amongst the large crowd flared up seemed to cause the Innerleithen side to lose their momentum and late goals from Dan Jeffrey and John Jardine meant it was Gretna who lifted the trophy. Aaron Somerville feels the force of a Peebles tackle in the game at Whitestone Park (top), while Paul Lee evades one during the same game. A busy end of season saw Vale playing two games a week, with a comfortable win over Peebles followed by six points against Gala Fairydean. The first game at Netherdale saw Gala down to ten men after just quarter of an hour when Paul Young received a straight red card for a challenge on Andy Martin. Vale pummelled the Gala goal, but had to wait until three minutes from time when Alex Munro blasted a shot into the net to give them the win. Four days later the teams met again at Victoria Park, with Gala again losing a player as Andy Hardie was sent off for dissent half an hour in, and goals from Greig Shortreed and another from Munro saw Vale within touching distance of promotion. The joy of a good victory over in-form Leith Athletic was increased with the news that both Stirling University and Gretna had been held to draws the same evening, meaning that Gretna were now out of the promotion race and with Craigroyston having only one game left to play – against Stirling – Vale now needed only a single point from their five remaining games to make sure of a promotion place. Alex Munro fires in a cross during the game against Gala Fairydean at Victoria Park. The next game was the rearranged match at Gretna and a 2-0 defeat saw Vale lose their unbeaten league record, but with Stirling having beaten Craigroyston with virtually the last kick of the ball meant that it was Vale and Stirling would take their place in the Premier Division next season. Following the match, manager Rab Paget officially announced his intention to step down from the manager’s position, his work commitments making it increasingly difficult to dedicate the time required to the job of managing the team. The only thing that still needed sorted out was whether it was Vale or Stirling that lifted the First Division championship. With Stirling’s vastly superior goal difference – they had hit double figures in league games against Hawick Royal Albert and Peebles – virtually worth an extra point, Vale had to win their remaining league games and hope that Stirling slipped up somewhere. Vale duly recorded wins in their remaining fixtures against Hawick Royal Albert, Eyemouth United (twice) and Ormiston, but there was no slip up by Stirling and a 3-0 win against Hawick on the final match day saw them champions on goal difference. The news came through with around half an hour of the last match at Eyemouth remaining, the Vale game having been held up after Andy Martin had been badly injured and taken to hospital in an ambulance. X-rays showed that his ankle was not broken as had been first thought, but the winger had suffered ligament damage, which would keep him out of pre-season 2010-11. Despite not capturing the championship, it had still been a marvellous season for Vale – having gone the whole season only dropping seven points, their points total of 59 was the highest ever recorded by a side in the East of Scotland League without having won their respective league. The Vale team line up for their final game of the season at Eyemouth. Back Row: (left to right) Stewart Churchill (coach), Alex Munro, Paul Lee, Scott Moffat, Michael Stewart, Darren Walker, Ricky Burke, Darren Gillon, Stuart Gray (coach), Rab Paget (manager). Front Row: Gavin Tainsh, Paul Thomson, Kerr Dodds, John Hall, Andy Martin, Aaron Somerville, Paul Greenhill. The Player of the Year awards were hotly contested, with many players making an outstanding contribution during the campaign. Players Player of the Year was captain Michael Stewart, while Supporters Player of the Year was Aaron Somerville, who also got the top scorer award, his 25 goals the highest season total for a Vale player in a dozen years. President’s Player of the Year went to Darren Gillon, while Rab Paget’s final act as manager was to introduce a Manager’s Player of the Year to the end of season awards. The first winner was Mark Wilson – a fitting reward for the goalkeeper who had spent most of the season as understudy to Darren Walker, but had worked hard to improve his game under goalkeeping coach David McGinley and produced outstanding displays when called upon. Players unlucky to be overlooked included Paul Greenhill, Andy Martin, John Hall, Gavin Tainsh, Paul Lee, Paul Thomson, Greig Shortreed and Darren Walker, but the contribution made by each was recognised by all who followed the fortunes of the club. *Vale opted out of season 2009/10 competition due to fixture congestion.